Now on its 26th year, the Philippines-Korea Cultural Exchange Festival is happening on September 9, 2017 at the Aliw Theater, Pasay City. Themed “길(Road): We Go Together”, the free annual cultivating event continues to celebrate the strengthening bond between Philippines and South Korea through a day of festivities and a cultural program. The event will be divided into two parts. The “Annual Talent Competition” finals comes first and will be hosted by Sam Oh. The Filipino participants will have to sing or dance in Korean as the Koreans will have to perform in Filipino. The main program will be highlighting the friendship between Philippines and South Korea as it make its way in celebrating its 70th year of nurturing partnership by next year. The relationship between the two countries began with military collaboration and turned into a deeper form of cooperation in varied areas such as trade, political-security concerns, socio-cultural exchanges, and the Korean Wave (Hallyu). Astounding Korean traditional performances from Busan National Gugak Team and Serotonin are to look forward to. The prestigous Ballet Manila will also grace the stage to represent the Philippines while the boy group OFFROAD will represent Kpop. The lobby will be filled with different Korean cultural activities. Expect Nanta, Salmunorri and Kpop displays, Korean street food section, sponsor products, and a showcase of singers and dancers from the competing teams. This year’s event will be the first for Director Lee Jin Cheol (KCC) as well as President Kang Chang Ik of (UKCA). The 26th Philippine-Korea Cultural Exchange Festival is hosted and organized by the United Korean Community Association (UKCA) together with the National Commission for Culture and the Arts (NCCA) and Korean Cultural Center in the Philippines (KCC) respectively and supported by the Embassy of the Republic of Korea in the Philippines and Department of Tourism, Tourism Promotions Board (TPB) Philippines. This is sponsored by BDO, Korea Tourism Organization in the Philippines, Philippine Retirement Authority, Calla, Champion, and Hana Shampoo together with the special participation of Arirang Town Philippines and the Philippine Kpop Convention, Inc. The Talent exchange competition where Filipinos need to perform Korean song or dance performances and Koreans need to perform Filipino song or dance performances are the highlight of this year's festival and The 2017 Philippines - Korea Cultural Exchange Festival serves as the venue for the competitions final performance. join the cultural Exchange competition! 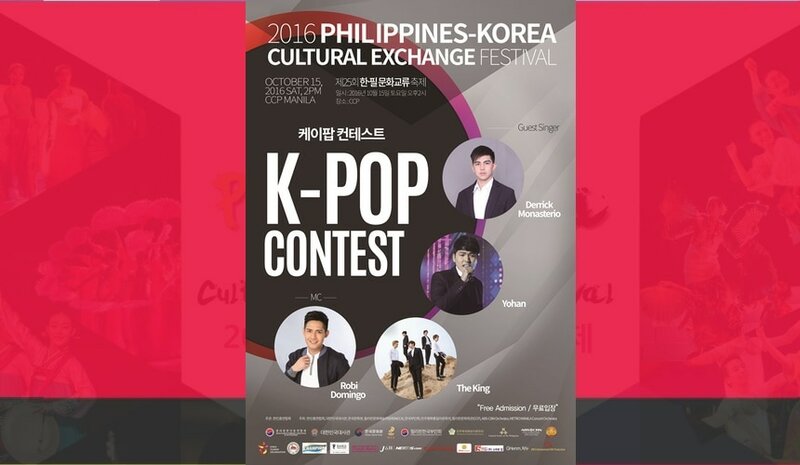 ​The Annual Talent Competition of the 26th Philippines - Korea Cultural Exchange festival is open to all Filipinos and Korean nationals of all ages. Competition categories include dance and singing categories. 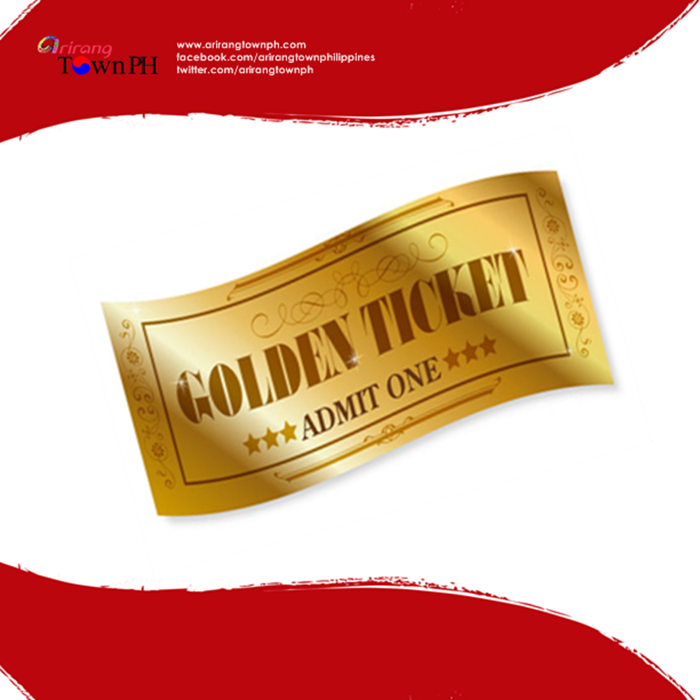 thank you for joining our online ticket giveaway!